President Donald Trump and Intellectual Property: what can he claim as his? April 20, 2017 / David / Comments Off on President Donald Trump and Intellectual Property: what can he claim as his? In a world of fake news, clickbait, and alternative facts, there is a bit of comfort in knowing at least one undeniable fact. 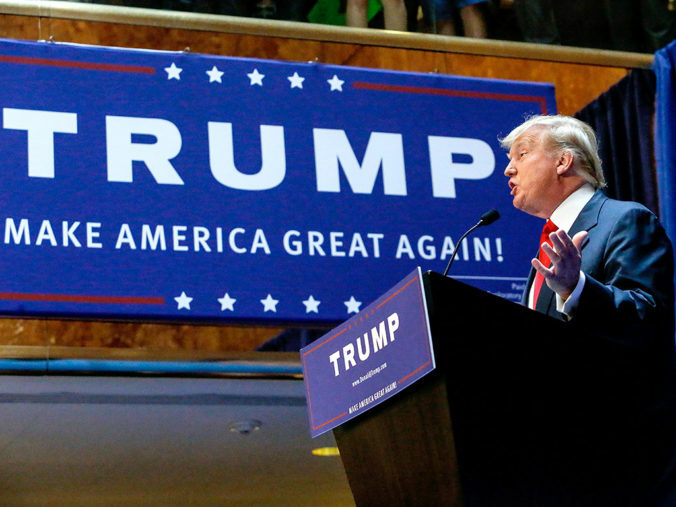 Donald J. Trump is enthusiastic about stamping the TRUMP name on most any goods or services and reaping the benefits of the ancillary trademark rights. He first sought trademark registration for a Trump-branded product in 1985 and has since sought to register in excess of 300 other trademarks with the United States Patent and Trademark Office, including the now ubiquitous MAKE AMERICA GREAT AGAIN® mark, which was registered on August 16, 2016. While he often files applications through his various corporate entities, the fact remains: Donald Trump loves him some trademark rights. This may elicit a few questions though. First, can a sitting POTUS own trademark rights? Also, what about other intellectual property rights: patents, copyrights, trade secrets? Can a U.S. President acquire, assert, enforce, or use with impunity certain types of intellectual property? I shall do my best to answer these, though I will try to avoid addressing in detail the emoluments clause elephant in the room. For now.